« Daniel Libeskind , Coop Himmelb(l)au & Iakov Georgievich Chernikhov – so that is how “Conscious Inspiration” works? 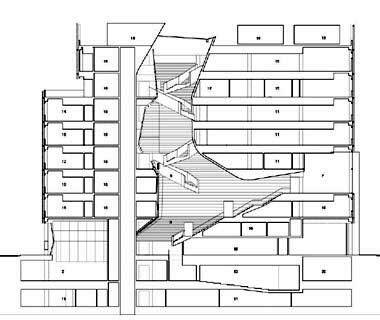 In my previous posts I presented Frank Gehry’s “floor plan strategy”. 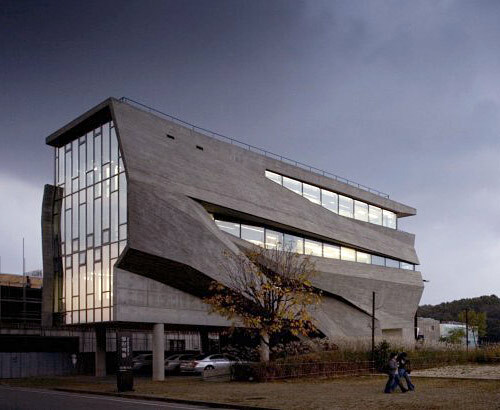 He designs complex sculptural buildings in reasonable budgets and without compromising with their planning needs. In this post I will show another successful “floor plan strategy”, of an important member in the prestigious group of sculpt architects….Thom Mayne founder of Los Angeles firm Morphosis. 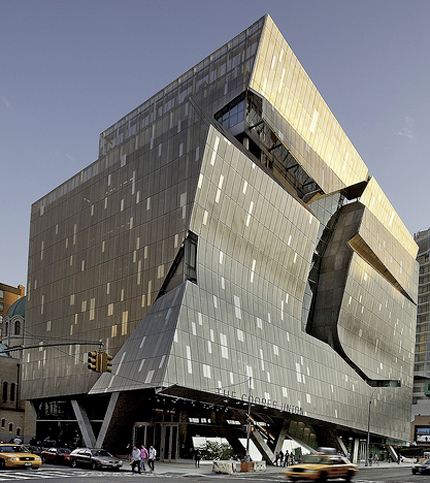 Below is shown, a typical floor plan of the Sciences Building of Cooper Union college in New York designed by the Morphosis firm. Now look at the picture below, are the square floor plan above and the building in the picture below, the same building? they are basically the same building. 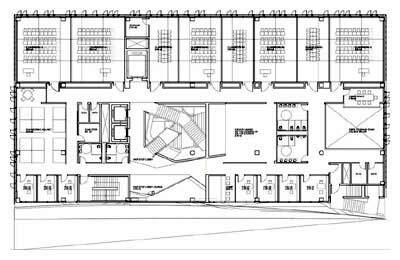 So Morphosis “floor plan strategy” is now clear…. 1. Simple cube-shaped building with an Interior core designed by the principles of the “sponge concept” (you are invited to sea my post about Steven Holl’s “sponge concept”). 2. 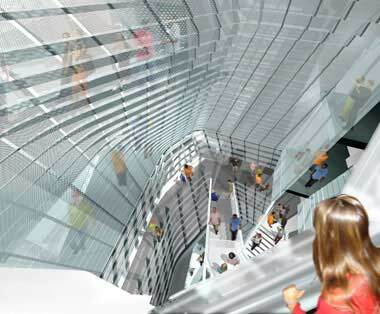 And a sculptural façade created by a steel screen fluctuates in its offset from the cube. (You are invited to sea my post about the three dimensional “Mashrabiya Envelopes” and some other of my relevant posts listed at the end). 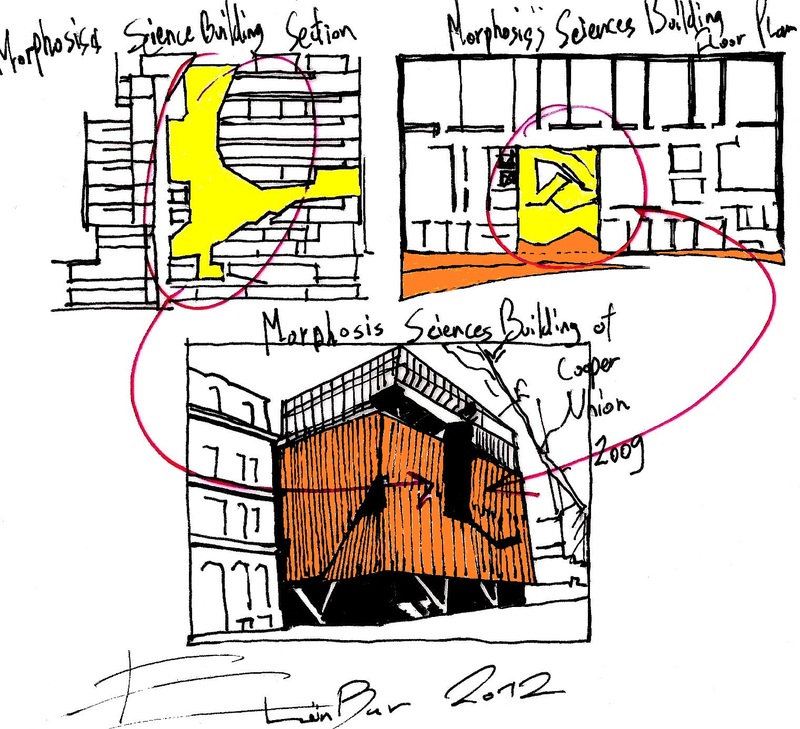 This entry was posted on January 12, 2012 at 7:39 am and is filed under buildings, public buildings with tags CONSCIOUS INSPIRATION PAGE, eliinbar Sketches 2012, eliinbar’s sketchbook 2012, floor plan Strategy, Frank Gehry, Mashrabiya envelopes, Morphosis, Sciences Building of Cooper Union college, sculpt architects, Sculpted decade, sculptural façade, sponge concept, Thom Mayne. You can follow any responses to this entry through the RSS 2.0 feed. You can leave a response, or trackback from your own site. fluctuates in its offset from the cube”.